Comments: Flowers have large yellow anthers, but few fruit are produced by this cultivar. The foliage is coppery in spring, green in summer and reddish-purple in autumn and winter. 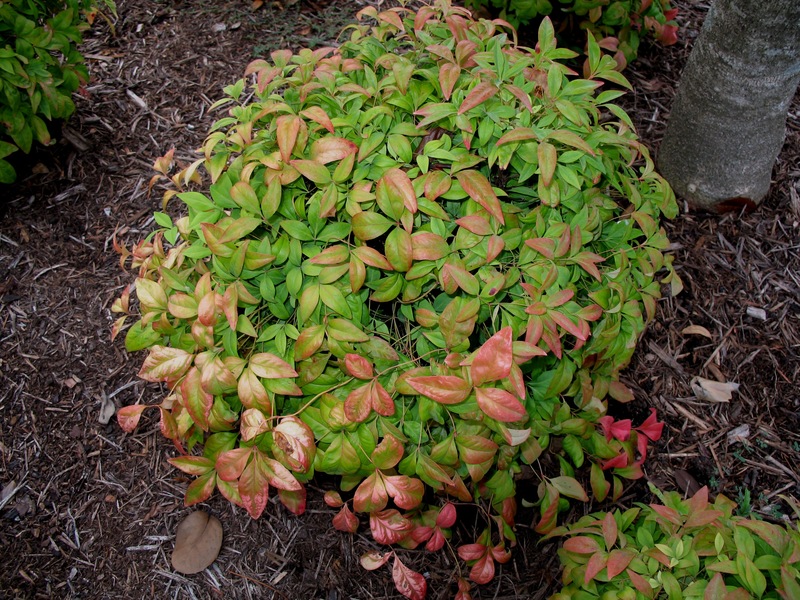 Hard freezes may cause leaf loss on this and other nandinas and may kill them to the ground.